Thomas Hughes is an experienced and qualified builder starting his career as an apprentice carpenter and foreman throughout the 80’s and 90’s. His professional and disciplined approach to project management comes from working with Raptis and the Sunland Group. 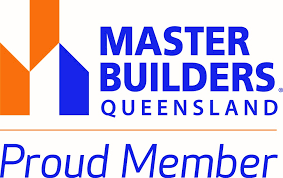 In 1998 he established Thomas Hughes Constructions a building company servicing South East Queensland with the highest standards and excellence in building and construction. Thomas commits himself personally to each project working together with a team of dedicated supervisors and professional tradespeople. His reputation for ‘attention to detail’ is acknowledged amongst his associates and clients. Safety, quality, reliability and innovation are all part of our core values and company vision. We have an impeccable safety record, our quality in workmanship and continued dedication to the construction industry is reflective of our reputation. We are constantly developing and improving our processes, services and innovations in building materials and construction technology. My wife and I had the pleasure of working with Thomas on the build of our four-story home on the main river in Surfers Paradise. Thomas’s years of experience building prestige homes was evident during the entire process and was invaluable in assisting us with all the decisions that had to be made on a daily basis. Thomas’s strengths are his ability to bring a job in on budget and the respect he commands from all the subcontractors that worked on our home which translates to the quality product he delivers. The fact that our home was a solid concrete structure with a basement plus three levels of suspended slab and was delivered to us in six months without compromising any quality is testament to Thomas’s organizational skills. I would highly recommend Thomas to anyone looking to build a quality prestige home. Managing Director, SPL Security Solutions. 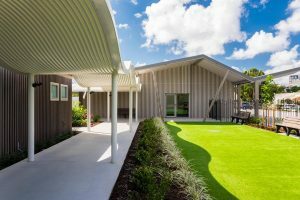 Thomas Hughes Constructions has recently completed Stage One of Josiah College, a new Autism-specific school at Carrara for which we were Project Architects. The design required very high levels of co-ordination to achieve the required acoustic treatment, with specific finishes and services to meet the needs of children on the Autism Spectrum. 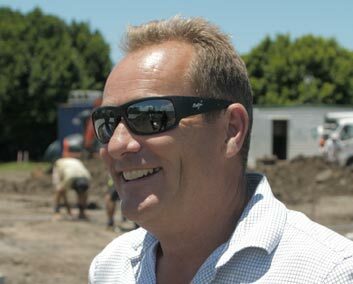 Thomas’ attention to detail ensured the project was delivered on budget and ahead of schedule. The project follows from two previous buildings Thomas constructed at the adjacent Emmanuel College, the Gecko Building and Neville Bonner Centre. Both of these were complex projects, constructed on restricted sites within the campus, requiring connection to several existing buildings and containing a high level of Architectural detailing. Thomas is primarily known as a builder of prestige homes and has brought the same level of care, co-ordination and organization to these more commercial projects. It is a pleasure to work with a Builder and his Subcontractors who truly do believe in doing it once, and doing it right.